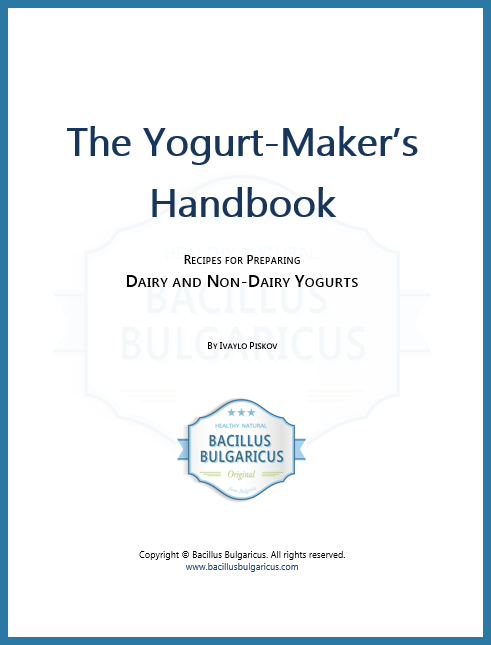 It is super easy to make yogurt using our Bacillus Bulgaricus yogurt starter culture. The following 6 easy steps explain how to prepare your own yogurt without the help of an yogurt maker. If you have an yogurt maker, and would like to use that instead, then simply follow the instructions that came with it. If you are using your own containers, mason jars work best, however any type of container you are comfortable with will work just as well. Bring the milk to a gentle boil. 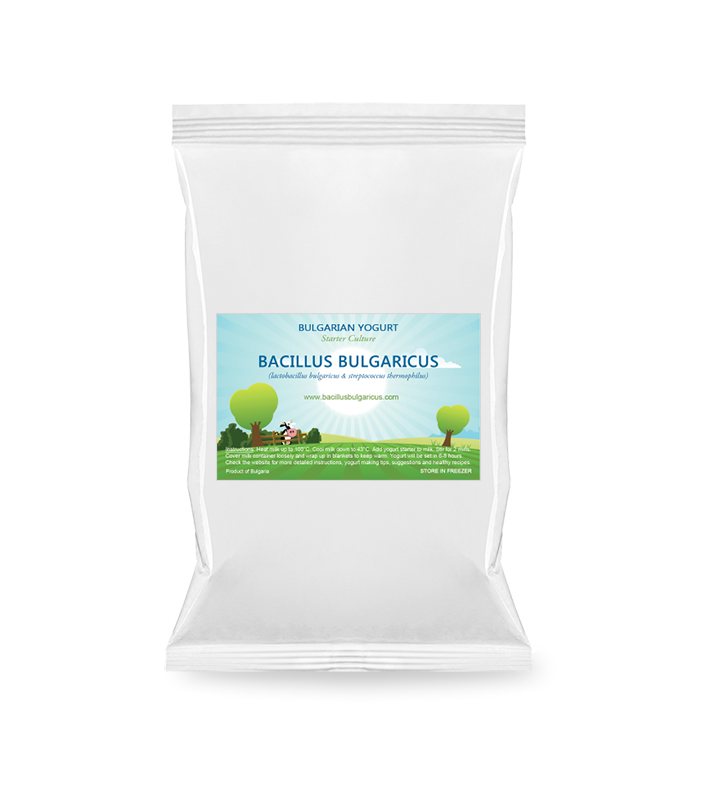 The milk should boil in order to kill any existing bacteria in it, which could react with the Lactobacillus Bulgaricus. Milk boils at about 212°F / 100°C. Be careful not to burn it, otherwise your yogurt will inherit the burnt taste. Cool the milk down to 110°F / 43°C. The easiest way to test for the right temperature is to dip your pinky finger in the milk – if you can comfortably count to 5 then the milk is just right. Move the milk to a separate processing container. You can use multiple smaller containers too. Add 1/4 teaspoon of the starter. Mix well. This is important! Stir for a good 3-4 minutes (do not use a mixer, stir by hand). If you used more than one container, distribute the pack’s contents evenly in respect to their volumes. Wrap the container well in blankets or cover with a tea cozy and let it sleep. Keep out of any draft. The fresh yogurt will set in about 5-6 hours. If the place is cold the process may take longer (10-12 hours). You can easily check if the yogurt has set by tipping the container a bit — its contents will be firm instead of liquid. For a denser yogurt with more acidic and tart taste you can leave it culturing longer (e.g. overnight). Your yogurt is now ready to be enjoyed! A quick advice — for best results, move it to the fridge for a couple of hours before you eat it — it will get a bit denser and somehow yummier! Important: Keep the remaining yogurt starter in a Ziploc bag in the freezer. The starter is highly hydrophilic — if moisture gets inside the pack it will ruin it quickly. This entry was posted in Make Your Own and tagged how to make Bulgarian yogurt, make Bulgarian yogurt, make your own yogurt, yogurt making instructions.